October 2018 GWENT Open is happening this weekend – AiPT! CD PROJEKT RED, creators of The Witcher series of games, are inviting esports enthusiasts and gamers all around the world to watch the seventh tournament of the GWENT Open series! This weekend, October 13th – 14th, eight top-of-the-line GWENT players will battle it out for a lion’s share of $25.000, Crown Points and a guaranteed spot in the next GWENT Challenger — the last tournament before the grand finale of the official esports series! The group of participants includes some of the highest ranked players of Pro Ladder and winners of the online qualifier. In addition, the cast of the tournament comprises of known personalities from the GWENT esports scene. Meet the full lineup here! 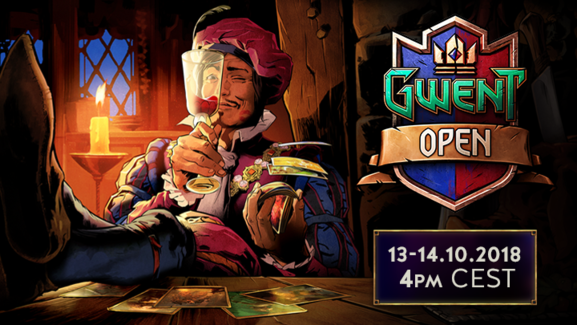 GWENT Open #7 will begin on Saturday, October 13th at 4:00 PM CEST, with semifinals and finals coming up on Sunday, October 14th. The event will be livestreamed on the official CD PROJEKT RED channel with additional coverage provided in form of regular updates over at GWENT Masters Twitter. Viewers watching the tournament live will be able to earn in-game rewards for GWENT, thanks to the Twitch Drops feature. These items include Card Kegs and the winner’s favorite card, among other. Details on Twitch Drops are available at playgwent.com/twitch-drops.